10/AUG/2016, Event was held by Chubu International Airport and Singapore Airlines. Along with it, A380-800 of Singapore Airlines visited Chubu International Airport. A380-800 of Singapore Airlines came flying Chubu International Airport for the first time in two years.A380-800 doesn’t fly to Chubu International Airport as regular service now. This opportunity is rare. 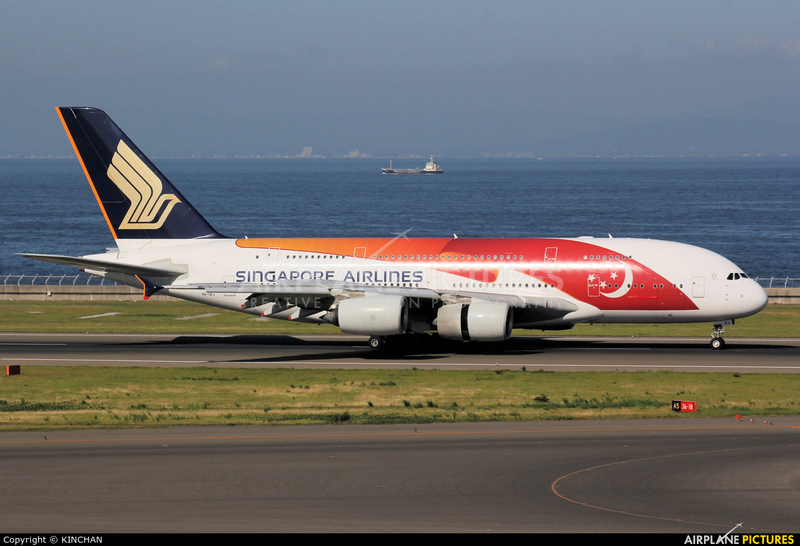 9V-SKJ　“SG50 livery” was assigned as a surprise from Singapore Airlines.